What a treat literally! Our hostess and chef was great, very attentive and our entire class successfully made some beautiful and delicious macarons which we all got to take with us. We even got the recipe if we were so ambitious to try it at home. The class location was walkable from the metro but do give yourself extra time to navigate the neighborhood. This is a great activity for a family or anyone looking to do something a bit low-key. If you need a break from walking around the city but still way to do something, this is perfect. This class is amazing! Julie, our chef, was very patient and friendly. This class is hands-on and we were walked through each step to make the macarons. 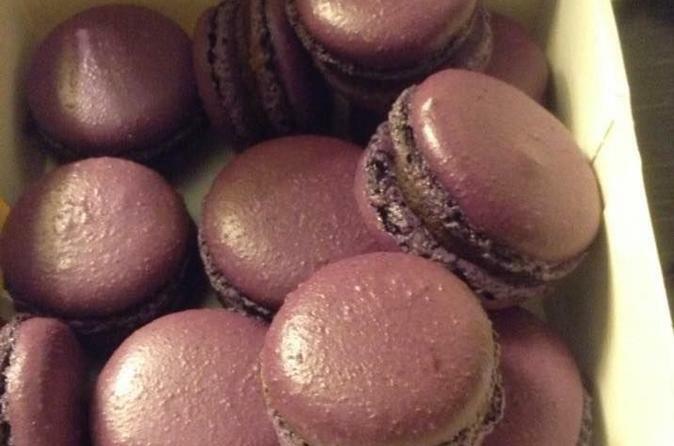 The macarons were delicious and I was able to follow the recipe back home to the delight of my family and friends. I would recommend this class for bakers and non-bakers alike!! This was something I had always wanted to master. Group was small which was good. Learnt all the basics to make my own macaron. Recommended! I know this is a late review, but it was an awesome class. It was a small group, being only myself. She was really helpful and the one on one attention was amazing. I enjoyed the class so much, when my mom came to visit a year later we went back and took the Eclair class. This class was fantastic. Our instructor, Josie, was incredibly knowledgeable, my friend and I took many notes for future reference! We ended up having a private class for the two of us--one advantage of visiting Paris in January. At the end of the class, we each had 15 macarons to take home. 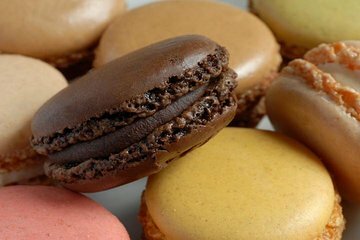 Thus, I recommend doing this tour earlier on in your trip--that way you have time to eat the macarons before flying home! Loved this class. Easy enough to find, Julie was great and the macarons inspired me to try them at home, and I did. I would recommend this class to anyone that loves to cook OR loves macarons. Class was very informative and fun! Highly recommended. The class was so much fun! Our instructor was very knowledgeable and friendly. She made sure our macarons turned out perfectly, and with the left over batter she made some fun macarons such as heart shapes, a cute bear, and multicolored macarons. Everyone in the class was able to take a box of macarons with them as well. My husband and I really enjoyed the class. Our small group Macaron cooking class was slightly overcommitted. There were supposed to be 6 and last minute turned into 9. This led to the delay getting started because our hostess had to prepare for 3 more people and delays in teaching and baking times. We anticipated it being a little more laid back possibly something to drink while we learned but it was just the class so bring a beverage for the time you are there or easy snack. It was very informative and fun to learn the process. We had other things planned for the afternoon so felt like we needed to get on with our day. We left with a lovely box of macarons which were pretty good:and the hostess gave us each an apron to make up for the misunderstanding of the over committing.